On April 10th, the VA published their final changes to the ratings for The Eyes. Of the nine sets of changes that have been proposed so far as part of the VA’s complete rewrite of the VASRD, this is the fifth to be made official and final. The other finalized changes were to the ratings for Dental and Oral Conditions and the Endocrine System made last fall, the Mental Disorders made in 2014, and the new Female Reproductive System changes that will go into effect the same time as these Eye changes. Other proposed changes include the Hemic and Lymphatic System, the Skin, the Genitourinary System, and the Musculoskeletal System. The following changes will go into effect May 13, 2018, and we’ll officially update all the information on our website at that time. Any Eye conditions rated on or after May 13thwill be based on these new ratings. Below are the final changes for the ratings of The Eyes. Not everything in the VASRD will be changing, so if something is not discussed below, then it will remain the same as it is now and can be found on our current The Eyes page. There are currently two different options for rating Eye conditions: The Visual Impairment Rating System and Incapacitating Episodes. All Eye conditions are rated under one of these two options unless other ratings are specified. Under the new changes, these two options will still be available, but with the following adjustments. Currently, when rating a Visual Field condition, the entire visual field must be charted using a Goldmann kinetic perimetry test or its equivalent, and the chart must be included in the medical records. If the chart is not included, then the VA Disability Claim is sent back to the physician. Because this causes so many delays, the VA has decided to change the VASRD to only require the physician to clearly record the information needed to rate a visual field condition. The chart itself is no longer required. Similarly, if any additional testing is done, the physician need only record the results, not include the actual chart of the additional tests. The ratings remain the same. When rating Muscle Dysfunction, the VASRD currently requires a Goldmann kinetic perimetry test to be done and for the chart to be included in the medical records. The new changes will allow a Tangent Screen test to be used instead of a Goldmann, and, just like with the Visual Field, the chart itself will not need to be included in the medical records as long as sufficient information needed to rate the condition is recorded in the physician’s notes. The ratings remain the same. An “incapacitating episode” is a period of severe symptoms that requires bed rest and treatment prescribed by a physician. If the physician did not prescribe bed rest, it is not considered an incapacitating episode. If there were incapacitating episodes adding up to 6 weeks or more during the last 12 months, it is rated 60%. If the incapacitating episodes over the last 12 months add up to 4 to 6 weeks, it is rated 40%. Two to 4 weeks is rated 20%, and 1 to 2 weeks is rated 10%. An “incapacitating episode” is a period of severe symptoms that requires a visit to a physician for treatment. A treatment must actually be given in order for the visit to count as an incapacitating episode. “Treatments” include laser treatments, surgeries, injections into the eye area, immunosuppressant medications, etc. These visits and the treatments and progress of the condition must be thoroughly documented in medical records. A 60% rating is given if there are incapacitating episodes requiring 7 or more treatment visits in the past 12 months. A 40% rating is given if there are incapacitating episodes requiring 5 or 6 treatment visits in the past 12 months. A 20% rating is given if there are incapacitating episodes requiring 3 or 4 treatment visits in the past 12 months. A 10% rating is given if there are incapacitating episodes requiring 1 or 2 treatment visits in the past 12 months. Now on to the changes being made to the eye codes themselves. I’ll first list the code exactly as it is now with a link to it on our site. Then I’ll discuss the new code and changes. Code 6006: Retinopathy (or maculopathy) is the swelling of the retina. - New- Code 6006: Retinopathy (or maculopathy) is the swelling of the retina. This code covers all types of retinopathy and maculopathy that are not covered by any other code. The only change to this code is to specify that all types not covered elsewhere are rated here. Seems pretty obvious, but okay. Code 6009: All other unhealed eye injuries are rated under this code. -New- Code 6009: All other unhealed eye injuriesare rated under this code, including orbital trauma—injury to the bone of the eye socket—and other eye injuries. The VA decided to add orbital trauma to this code. Currently damage to the bones in the eye socket isn’t addressed, so choosing the right code has been problematic. With these changes, it will be rated under this code. Code 6011: Any retina condition(scars, atrophy, etc.) not rated in the Diseases of the Eye section is rated under this code. If the condition causes irregular vision with double images, extra large images, extra small images or other irregularities, it is rated 10%. This 10% rating is given whether there is one eye or both eyes affected. The condition can be rated on the Visual Impairment Rating System if it would receive a higher rating. -New- Code 6011: Any retina condition(scars, atrophy, etc.) not listed elsewhere is rated under this code. If the condition causes irregular vision with double images, extra large images, extra small images or other irregularities, it is rated 10%. This 10% rating is given whether there is one eye or both eyes affected. The condition can be rated on the Visual Impairment Rating System oron Incapacitating Episodes if it would receive a higher rating under one of those systems. This code is being changed to ensure that all retina conditions not rated elsewhere is covered by this code. It also expands the rating options for these conditions by allowing them to be rated on either the Visual Impairment Rating System or on Incapacitating Episodes. Code 6013: Open-angle glaucoma is a condition where the optic nerve is damaged, normally by high fluid pressure in the eye, causing loss of vision. Unlike angle-closure glaucoma, it progresses slowly over time and is harder to detect before significant vision loss occurs. This condition is rated on the Visual Impairment Rating System. If continuous medication is required for the condition, the minimum rating is 10%. -New- Code 6013: Open-angle glaucoma is a condition where the optic nerve is damaged, normally by high fluid pressure in the eye, causing loss of vision. Unlike angle-closure glaucoma, it progresses slowly over time and is harder to detect before significant vision loss occurs. This condition is rated on the Visual Impairment Rating System or in Incapacitating Episodes, whichever gives the higher rating. If continuous medication is required for the condition, the minimum rating is 10%. The only change to this code is that it can now be rated on the Incapacitating Episodes rating system if it gives a higher rating. Code 6014: Malignant tumorsof the eyeball itself are rated under this code. If other things are also affected by the cancer, then each system can be rated separately. So, if the cancer is in the eye and the surrounding skin, then the eye and the skin are each rated separately. If the cancer is active, and requires chemotherapy, x-ray therapy, surgery, or similar treatments to more than just the eye area, it is rated 100%. This 100% rating will continue for the first 6 months following the completion of the any treatment. The condition will then be reevaluated and rated based on any continuing symptoms, like vision loss. If the cancer is active, but does not require chemotherapy, x-ray therapy, surgery, or similar treatments to more than just the eye area, then each symptom, like visual impairment, muscle impairment, or disfigurement, is individually rated. -New- Code 6014: Malignant tumorsof the eye, eye socket, conjunctiva, eyelids, or lacrimal apparatus are rated under this code. If the cancer also affects other things, like the skin, then they can be rated separately. So, if the cancer is in the eye and the surrounding skin, then the eye and the skin are each rated separately. Basically, the only thing that changed for this code was to expand it from just the eyeball to include the socket, eyelids, conjunctiva, and lacrimal apparatus. Code 6015: All other benign tumors affecting the eye are rated under this code and can be rated two times. Once for any effect it has on visual ability, and once for any nonvisual impairment, like disfigurement. -New- Code 6015: All other benign tumors affecting the eye, eye socket, conjunctiva, eyelids, or lacrimal apparatus are rated under this code and can be rated two times: once for any effect it has on visual ability, and once for any nonvisual impairment like disfigurement. This code was also changed to include the eye, socket, eyelids, conjunctiva, and lacrimal apparatus. The ratings requirements remain the same. Code 6017: Trachomatous conjunctivitis is the swelling of the conjunctiva due to a bacterial infection, that continues despite treatment. This is not pink eye. Pink eye is caused by a viral infection and is rated below. If the condition is currently active, it is rated on any visual impairment. The minimum rating for this condition is 30%. So regardless of the severity of visual impairment, it will at least be rated 30%. If the condition is not currently active, then it is rated on any lasting symptoms. -New- Code 6017: Trachomatous conjunctivitis is the swelling of the conjunctiva due to a bacterial infection, that continues despite treatment. This is not pink eye. Pink eye is caused by a viral infection and is rated below. If the condition is currently active, it is rated on Visual Impairment or Incapacitating Episodes, whichever gives the higher rating. The minimum rating for this condition is 30%. If the condition is not currently active, then it is rated on any lasting symptoms. The only change to this code is to include Incapacitating Episodes as a rating option for an active infection. Code 6018: All other conjunctivitis conditions are rated under this code. Conjunctivitis can be caused by many things including reactions to chemical exposure and viruses. Viral conjunctivitis is popularly known as “pink eye.” Conjunctivitis is not ratable unless it is chronic—lasts a long time and is not responsive to treatment, or regularly returns despite treatment. If the conjunctivitis is currently active with symptoms like redness, irritation, seeping, etc., it is rated 10%. If it is not active, it is rated on any lasting symptoms like visual impairment. -New- Code 6018: All other conjunctivitis conditions are rated under this code. Conjunctivitis can be caused by many things including reactions to chemical exposure and viruses. Viral conjunctivitis is popularly known as “pink eye.” Conjunctivitis is not ratable unless it is chronic—lasts a long time and is not responsive to treatment, or regularly returns despite treatment. If the conjunctivitis is currently active, it is rated either on the Visual Impairment Rating System or on Incapacitating Episodes, whichever gives the higher rating. The minimum rating for an active condition is 10%. If it is not active, it is rated on any lasting symptoms, like visual impairment. The rating options for this code are being expanded to include Incapacitating Episodes, and a 10% minimum rating is being added for an active condition. Code 6026: Optic neuropathy is basically damage to the optic nerve. Any optic nerve damage that is not caused by high fluid pressure (glaucoma) is rated under this code. This condition is rated on the Visual Impairment Rating System. -New- Code 6026: Optic neuropathyis basically damage to the optic nerve. Any optic nerve damage that is not caused by high fluid pressure (glaucoma) is rated under this code. This condition is rated on the Visual Impairment Rating System or Incapacitating Episodes, whichever gives a higher rating. The changes to this code allow Incapacitating Episodes to be a rating option. Code 6027: A cataract occurs when the crystalline lens becomes cloudy. It can be slightly cloudy or completely block any light from passing through the lens. This condition can be corrected by surgery. If the surgery has not yet been performed, it is rated on the Visual Impairment Rating System. If the surgery has been performed, it is still rated on the Visual Impairment Rating System, however it is important to note that the visual field will be measured differently depending on the outcome of the surgery. If a replacement lens is in place (“pseudophakia”) and functions normally, then the ring (isopter) used to rate the condition is the III4e. If it is in place but does not function normally, the ring used to rate it is IV4e. See the lens discussion under the Visual Field Rating System for more specific information. If a replacement lens was not implanted, then the condition is rated as aphakia. -New- Code 6027: A cataract occurs when the crystalline lens becomes cloudy. It can be slightly cloudy or completely block any light from passing through the lens. This condition can be corrected by surgery. If the surgery has not yet been performed, it is rated on the Visual Impairment Rating System or on Incapacitating Episodes, whichever gives the higher rating. If the surgery has been performed, it is still rated on the Visual Impairment Rating System or on Incapacitating Episodes, however it is important to note that the visual field will be measured differently depending on the outcome of the surgery. If a replacement lens is in place (“pseudophakia”) and functions normally, then the ring (isopter) used to rate the condition is the III4e. If it is in place but does not function normally, the ring used to rate it is IV4e. See the lens discussion under the Visual Field Rating System for more specific information. Code 6034: Pterygium is a condition where benign fibers of the conjunctiva grow into the cornea. This condition is either rated on visual impairment, disfigurement, or conjunctivitis, whichever most closely reflects the symptoms of the condition. -New- Code 6034: Pterygium is a condition where benign fibers of the conjunctiva grow into the cornea. This condition is either rated on visual impairment, incapacitating episodes, disfigurement, or conjunctivitis, whichever most closely reflects the symptoms of the condition. Code 6035: Keratoconus is a condition where the cornea gradually changes its shape, causing significant vision problems. This condition is rated on the Visual Acuity Rating System. Since the VASRD clearly states that this condition is to be rated on visual acuity, it cannot also be rated for visual field or muscle dysfunction unless they are caused by an entirely different condition. -New- Code 6035: Keratoconus is a condition where the cornea gradually changes its shape, causing significant vision problems. This condition is rated on the Visual Impairment Rating System or Incapacitating Episodes, whichever gives a higher rating. This condition is currently limited to being rated only on visual acuity. The new changes, however, remove this limitation and allow it to be rated either on the Visual Impairment Rating System or on Incapacitating Episodes. Code 6036: A corneal transplant is rated on the Visual Impairment Rating System. If there is also pain and sensitivity to light, the minimum rating for this condition is 10%. -New- Code 6036: A corneal transplant is rated on the Visual Impairment Rating System or on Incapacitating Episodes, whichever gives the higher rating. If there is pain and sensitivity to light, the minimum rating for this condition is 10%. The only change to this code is to allow it to be rated on the Incapacitating Episodes rating system if it provides a higher rating. -NEW CODE- Code 6040: Diabetic retinopathy is any damage to the retina caused by diabetes. It is rated on the Visual Impairment Rating System or on Incapacitating Episodes, whichever gives the higher rating. This is a brand new code that the VA is adding to specifically cover visual impairment resulting from diabetes. -NEW CODE- Code 6042: Retinal dystrophy is the degeneration of the retina over time. Many cases of retinal dystrophy are genetic, but cases that develop in service and meet the requirements for service-aggravation can be rated under this code. All types of retinal dystrophy, including retinitis pigmentosa, wet or dry macular degeneration, early-onset macular degeneration, and rod and cone dystrophy are all rated under this code. It is rated on the Visual Impairment Rating System or on Incapacitating Episodes, whichever gives the higher rating. The VA is adding this code to cover the large number of occurrences in the veteran population. -NEW CODE- Code 6046: Post-chiasmal disorders is a broad category that includes many different conditions. The optic chiasm is the part of the brain surrounding the optic nerve. If there is any damage to the brain that affects the eyes, it is rated under this code. This includes any visual problems resulting from TBI, brain infections, degeneration of the brain tissues, etc. Any condition rated under this code is either rated on the Visual Impairment Rating System or on Incapacitating Episodes, whichever provides the higher rating. Since many brain conditions can affect the eyes, the VA is adding this code to clearly instruct how eye involvement in brain conditions should be rated. Code 6091: Symblepharon occurs when the lining of the eyelid attaches to the conjunctiva because of injury or disease. This restricts the movement of the eye and the ability to open the eyelid. It is either rated on visual impairment, the inability to close the eyelids (code 6022), disfigurement (code 7800), or on other symptoms. Each symptom can be rated separately. -New- Code 6091: Symblepharon occurs when the lining of the eyelid attaches to the conjunctiva because of injury or disease. This restricts the movement of the eye and the ability to open the eyelid. It is rated on either visual impairment or incapacitating episodes, whichever gives the higher rating, AND on any other symptoms present not covered by these systems, like the inability to close the eyelids (code 6022), disfigurement (code 7800), or other symptoms. Each additional symptom can be rated separately. The new changes allow Incapacitating Episodes to be a rating option. Thank you for posting the date the eye rating changes go into effect. I just argued my case at the BVA VIA Video conference. When I made my argument I cited the changes that would be made to the rating guide. My video Conference was on 20 Apr, so it looks like it is very possible that I will be rated under the new rules. I appreciate that you take the time to keep us up dated, I know of no other web site that does this. Glad we could help! Hopefully your case will be resolved in your favor. I have been recently diagnosed withCorneal ectasia bilateral and keratoconus right eye. I had PRK required by my unit in 2004, Now I have been told I need corneal cross linking. I am 6 months out from retirement and it's a very expensive procedure. I am waiting to find out if they are going to send me to treatment at the only MTF conducting this currently. So my question is is the VA treating veterans with cross linking. What can I expect as far as rating go post treatment. My Ophthalmologist thinks with out treatment I will require acorns transplant. Since corneal cross linking is a fairly new procedure, it may be difficult to find a VA facility that performs it. However, current VA treatments is not my specialty. The disability system, yes, but how VA treats conditions, no. I would try to talk to a specialist at your local VA to find out treatment possibilities. They may do it or be able to refer you to someone who does. The VA will definitely rate your condition. No matter what procedures you end up having, you'll ultimately be rated on the Visual Impairment Rating system or Incapacitating Episodes. Since we can't predict how well you'll be able to see after the procedures, it's impossible to predict exactly what you will be rated. Thank you for posting these changes, but I'm curious if I'm reading this correctly and if it works in my favor. Long story short, VZV reactivated in my right eye causing permanent damage to the macula and temporal areas. I was rated under code 6011 retinal scars at 10% and have begun filing for a VARR as recommended by my attorney. We believe we should be considered for code 6065 under the visual impairment rating system considering my central visual acuity is 20/800. We also believe we meet the new standards for code 6000 incapacitating episodes due to laser demarcation surgery, PCR Tap, and 4x antiviral injections. "New- Code 6011: Any retina condition(scars, atrophy, etc.) not listed elsewhere is rated under this code. If the condition causes irregular vision with double images, extra large images, extra small images or other irregularities, it is rated 10%. This 10% rating is given whether there is one eye or both eyes affected. The condition can be rated on the Visual Impairment Rating System or on Incapacitating Episodes if it would receive a higher rating under one of those systems"
Am I reading that correctly? Thanks. Yes, the new code 6011 will allow your condition to be rated on visual acuity or incapacitating episodes since it sounds like those will give a higher rating. You'll need to just apply for an increase and should qualify based on these new changes. Thank you for posting these changes. I'm currently rated at 0% for bilateral lattice degeneration effective in 2016. My lattice is mainly peripheral retinal degeneration and does not impair my vision. I never questioned my 0% rating until recently when I found out that others have been rated at a minimum of 10% under the criteria of diagnostic code 6006 because the VA considered their lattice degeneration an active disease that should be evaluated annually to watch for retinal detachment and tears. I, too, need to be examined annually. I submitted an intent to file for a rating increase on 4/26/18, and a VA confirmation letter states that if I file my claim within one year, "...we may be able to compensate you from the date we received your intent to file." 1. Will my claim for a rating increase be based upon the new or old eye rating criteria? 2. If the new criteria is used and I'm denied a rating increase because the new rules don't apply to me, are there any valid arguments to be made based upon my intent to file date or 0% rating that the old criteria should be used? The VA rates every condition, regardless of when you applied based on the rules in effect at the time of decision. So they will only rate you on the new rules, not the old rules. There is no way to get around that. The only difference that affects you is the change in language in defining Incapacitating Episodes. You do need to receive a treatment in order for your visits to be considered incapacitating. However, under the new definition, it seems more likely that yours will qualify as under the old. If the checkup is considered a "treatment" of an active disease, it may still qualify. Not sure how others qualified under the old system. That required periods of bed rest, not just a visit for a checkup. So the idea that others received it just for a visit seems less likely under the old rules than the new ones. I had a cornea injury (scratches) in active duty-it is documented and I received treatment for it. However, I have since always experience dry eye with that particular eye and recently scratched it again. The optometrist removed some scar tissue(?) and irregular flaps from the cornea after this scratch and diagnosed as DLK. Is this something that can be contributed to my original eye trauma in active duty and if so, is a legitimate claim? Thank you for all the info, have a good one. This is tricky, and since I'm not an optometrist, I'm not the best to comment on the entirety of the situation. As I understand, DLK develops within 3 days or so of an incident that creates flaps (like a scratch). Because of this, the current scratch and DLK is too far removed from the incident on duty to draw a definite connection. However, an optometrist will be better able to speak to the facts of this relationship. As far as disability goes, you would have to be able to show a clear connection between the current condition and the scratch/dry eye that occurred while on duty. 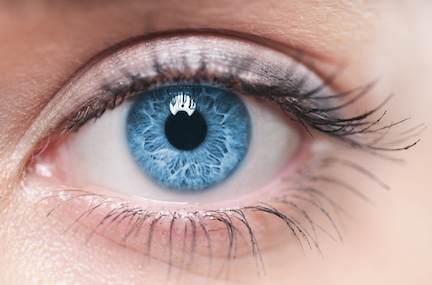 If your optometrist does say that there is a connection and that the current condition would not have developed without the original damage and resulting dry eye, then you do have a case. You would need to submit a letter from the optometrist linking the conditions along with your claim in order to prove the connection. I'm currently in the middle of my C&P exams for my benefits delivered at discharge claim (BDD). I was diagnosed with macular degeneration three years ago. The military doctor documented in my retirement physical as well. The C&P examiner asked me today did the military say if the condition was genetic. The military did not say to me that it was or wasn't genetic nor is it stated in my medical record. Do I have a legitimate claim? Your case is tricky since macular degeneration may very well not be a result of your military service (age, genetics, smoking, etc.). If there is enough evidence to show that the condition would have developed to the same degree and severity outside of the military environment, it could be considered not service-connected. However, if you served for a significant period of time and there is enough evidence, they may still consider it service-connected. It could go either way, depending. Just try to show as much evidence of your condition while in service, and see what they decide. Good day sir. The claim was listed as unspecified macular changes, bilateral eyes service connected 0%. In that case, they are saying that it is service-connected, which is good, but that the changes are not yet causing significant enough symptoms to warrant a rating. Check your symptoms against the rating options for macular degeneration, code 6042. If your symptoms qualify for a higher rating, then you can submit an appeal and should be successful. If not, then once the symptoms worsen in the future, you can apply to have your rating increased. I have glaucome and I am blind in the left eye. I served where I was exposed to Agent Orange. So I already have disability for my heart condition because of this exposure. Could the glaucome and blindness in my left eye qualify for disability rating? Vision conditions are not included on the Presumptive List for Agent Orange exposure, so the only way to get your conditions rated is for them to have been caused by another service-connected condition. Dr. Johnson, I am currently going through the VA disability process. One service connection I am seeking is for dry eye syndrome following PRK surgery at Wilford Hall Medical Center by a military surgeon. I have been treated continually for this condition since the surgery in 2005, including punctal plugs, continual eyes drops and salves. The VA has denied this service connection, stating, "the evidence shows your dry eye syndrome is a result of an elective procedure (i. e. PRK surgery) and would not otherwise have occurred had your elective procedure not been performed." Do you feel I would have any success on appeal of this decision? In general, the VA will not rate elective surgeries. The only way this claim would be successful is if you could show proof that the resulting dry eye was caused by an actual mistake during the surgery and thus is not just a natural side effect of the procedure. You don't need to worry about the code as the VA will determine the right code. You just need to prove service-connection. Since they service-connected the lesion, you need to show medical proof that the vision loss and floaters are a direct result from the lesion/injury. First, get your medical records from the ophthalmologist and see what his official diagnoses were for your conditions. Once you have these, you can do some research to see if they can be caused by your lesion/injury. The evidence you find can be used to support your claim. Also talk to your ophthalmologist and see if they will write a NEXUS letter for your stating that your current diagnoses are "as likely as not" caused by the service-connected lesion/injury. Evidence that the right eye does not have the same conditions could also be further support that the injury caused the conditions. The make sure to claim the conditions using the exact diagnoses and include all of this supporting evidence. I have received a 10% rating for "dry eyes"..In the military i was diagnosed with cataracts at the age of 23. Never had eye issues before. I had a shoulder injury in the military and I was on prednisone for a very long time. An optometrist told me that my cataracts could very well be from all the steroids i was on since i never have had eye issues before. Does 10% just for dry eyes sound right or should I ask for an increase? I have had one cataract removed and a new lens put in but i have not had my other eye operated on yet. My vision is definitely getting worse. I feel as though i need to ask for an increase. I need opinions thank you so much. Since the cataracts were diagnosed while active duty and so young, they should be considered service-connected unless there are other circumstances I am unaware of. Did you originally apply for cataracts? If so, it is odd that they only rated you for dry eye since there are definite ratings for cataracts, both before and after surgery. If you did not specifically apply for cataracts, then you should submit a new claim for them. If you did, then definitely submit an appeal for an increase. thank you for your response. Correct, there were no underlying circumstance. It was diagnosed while active duty. And no i did not apply for cataracts when i went to the VSO rep they did not put it down. So i will go back and I will put in a new claim. How long does this usually take? Also, what is the rating for cataracts? I just can't believe this wasn't noticed when i first claimed. Thanks again Dr. Yes, your VSO messed up, for sure. Your cataracts should definitely have been claimed. The VA will only review and rate conditions listed on a claim, so submitting one now for cataracts should be able to get it rated. The average wait for a FDC is about 100 days.